Of course, it wasn't a professional game back then. These days the players will go back to an extremely high level of rugby, in particular those whose teams have made it through to next weekend's Champions Cup quarter-finals. I cannot wait for next weekend. And I have a feeling most of the players can't either. You might think they would want a bit of a break after eight weeks of intense Six Nations action, but the truth is the Six Nations was a pretty chastening experience for everyone bar Wales. These quarter-finals represent the perfect opportunity to get back on the horse, rediscover a bit of confidence. It's actually ironic Wales won the Grand Slam yet don't have a representative in the quarter-finals, while Ireland, who had an average tournament, have three. The provinces have a huge role to play in terms of giving the Irish players their self-belief back. A good run, another Leinster European Champions Cup triumph, could reshape the narrative. Leinster are still the team to beat. Yes, their players will be scarred by the last eight weeks. They never really recovered from that thrashing by England. And by the end of the Championship, a number of their players looked mentally tired, Johnny Sexton in particular. So much pressure is placed on his shoulders. This is where Stuart Lancaster and Leo Cullen can really do a job for Joe Schmidt. Lancaster has signed a contract extension but he could still have a huge impact on Ireland's World Cup chances if he can get the likes of Sexton, Tadhg Furlong and Robbie Henshaw playing well again. No doubt Ulster will try to target Sexton. 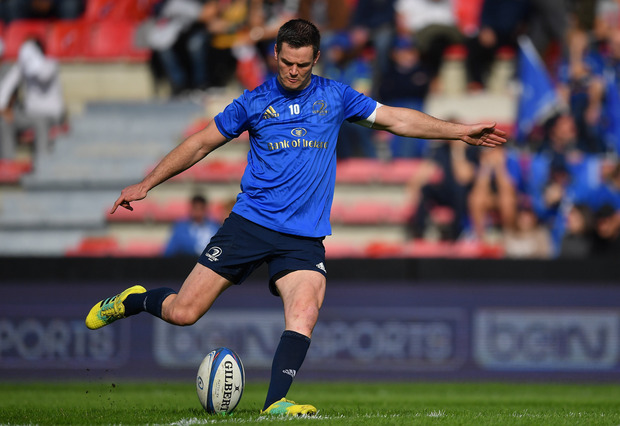 But playing for Leinster should allow him to rebuild his confidence in a winning environment. I'd be amazed if Ulster won at the Aviva Stadium. It's similar at Saracens, where a lot of England players will be returning literally and metaphorically bruised. They need to rediscover their confidence; to play in a familiar environment. Saracens is the perfect place to do it. It speaks volumes that they are the only English team who made it to the quarter-finals this year. We saw England come on tactically over the last eight weeks but their inconsistency reflected the inconsistency of the Premiership. Owen Farrell must shoulder his share of responsibility for that. He had one of the most disappointing halves of rugby I've ever seen him play at Twickenham last Saturday. He looked shell-shocked afterwards. But, like Sexton, I expect him to thrive back in the bosom of his club. Saracens know what they are about. They have built success over a number of seasons, initially off the back of their defence and set-piece, which remains very solid. Farrell will have the reassurance of established tactical clarity built over more than four years. His game management will also be brought to the fore. Glasgow won't be afraid of the challenge, but they will need to play the game of their lives. I can see them scoring tries but very rarely do Saracens lose at home. Glasgow's advantage is that both they and Edinburgh will be buzzing after the way things panned out at Twickenham.